Data mining is to extract valid information from gigantic data sets and transform the information into potentially useful and ultimately understandable patterns for further use. It not only includes data processing and management but also involves the intelligence methods of machine learning, statistics and database systems, as Wikipedia defines. Data mining is also the important technology in the field of Data science, which has been ranking as the №1 best job in the USA from 2016 to 2018, from Glassdoor’s list of 50 Best Jobs in America. Besides, comparing with 1700 job openings in 2016, the number of listed job openings has increased significantly by 160% in two years. It can be foreseen that the demand for data scientists or the people who have the skills or data analysis will keep growing in the next few years. To help our audience master the technology of data science, we have published 80 Best Data Science Books That Are Worthy Reading and 88 Resources & Tools to Become a Data Scientist before. So in this article, I would like to focus on the field of data mining, to round up the 10 essential skills you gonna need. 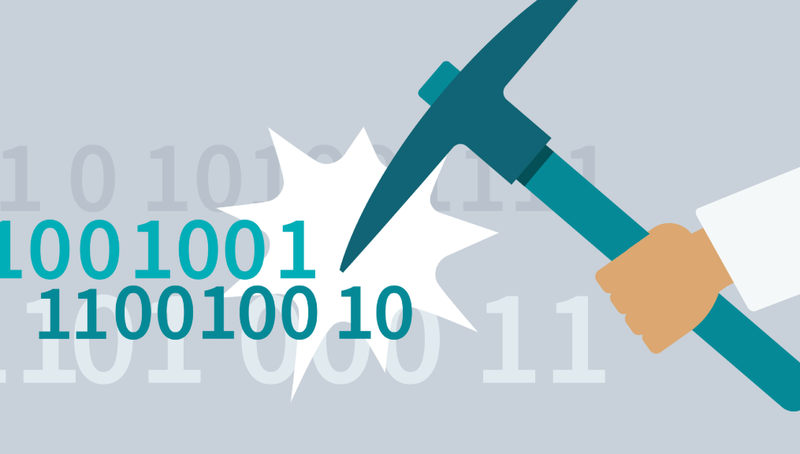 Data mining relies heavily on programming, and yet there’s no conclusion on the question which is the best language for data mining. It all depends on the dataset you deal with. Peter Gleeson put forward four spectra for your reference to choose which programming language: Specificity, Generality, Productivity, and Performance, which can be regarded as a pair of axes (Specificity- Generality, Performance — Productivity). Most languages can fall somewhere on the map. R and Python are the most popular programming language for data science, according to a research of KD Nuggets. Processing frameworks compute over the data in the system, like reading from non-volatile storage and ingesting data into your data system, which is the process of extracting information and insight from large quantities of individual data points. It can be sorted out into 3 classifications: batch-only, stream-only and hybrid. 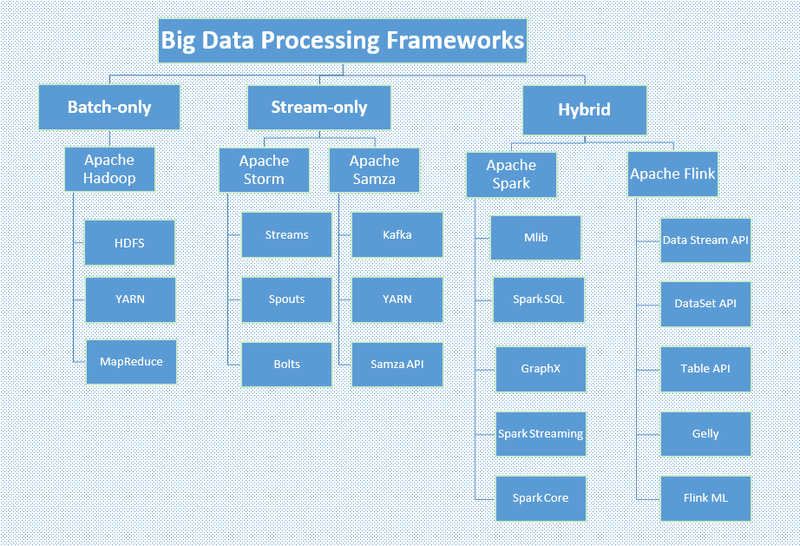 Hadoop and Spark are the most implemented frameworks so far since Hadoop is a good option for batch workloads that are not time-sensitive, which is less expensive to implement than others; while, Spark is a good option for mixed workloads, providing higher speed batch processing and micro-batch processing for streams. Linux is the popular operating system for data mining scientist, which is much more stable and efficient o/s for operating large data sets. It would be a plus if you know about common commands of Linux, and be able to deploy a Spark distributed machine learning system on Linux. To manage and process large data sets, you must know about knowledge of relational databases, like SQL or Oracle, Or non-relational databases, whose mainly types are: Column: Cassandra, HBase; Document: MongoDB, CouchDB; Key value: Redis, Dynamo. Just recalling the definition of data mining at the beginning, we know that data mining isn’t all about coding or computer science but sits at the interfaces between multiple fields, among which Statistic in an integral part. Basic knowledge of statistics is vital for a data miner, which helps you to identify questions, obtain more accurate conclusion, distinguish causation and correlation, and quantify the certainty of your findings as well. Proficiency in data structures and algorithms is critically useful for data mining, which helps you to come up with more creative and efficient algorithmic solutions when you’re processing large volumes of data. This is one of the most important parts of data mining. Machine learning algorithms build a mathematical model of sample data to make predictions or decisions without being explicitly programmed to perform the task. And deep learning is part of a broader family of machine learning methods. Machine learning and data mining often employ the same methods and overlap significantly. Natural Language Processing (NLP), as a subfield of computer science and artificial intelligence, helps computers understand, interpret and manipulate human language. NLP is widely used for word segmentation, syntax and semantic analysis, automatic summarization and textual entailment. For data miners who need to deal with a large amount of text, it is a must-have skill to get to know the NLP algorithms. Your project experience is the most provincial proof of your data mining skills. When asked how to land the first job of data science, David Robinson, the Chief Data Scientist at DataCamp, has said: “The most effective strategy for me was doing public work. I blogged and did a lot of open source development late in my Ph.D., and these helped give public evidence of my data science skills.” If you are looking to gain more experience in data mining, try to find out the best projects in the 12 Most Popular Data science Programs Platforms. Data miners do not only deal with data but also are responsible to explain the outcomes and insights drawn from data to others, even non-technical audience, such as the marketing team. You should be able to interpret data outcomes, tell the stories, in oral, written and presentation means well. 10 Essential Computer Skills for Data Mining was originally published in Hacker Noon on Medium, where people are continuing the conversation by highlighting and responding to this story.